Pope Francis on Friday marked International Women’s Day, stressing the “irreplaceable contribution of women in building a world that can be a home for all,” through their efforts toward peace and love. 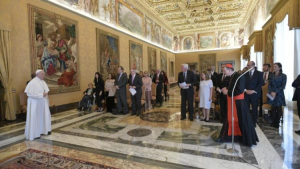 “Women make the world beautiful, they protect it and keep it alive.” “They bring the grace of renewal, the embrace of inclusion, and the courage to give of oneself,” he told some 40 representatives of the American Jewish Committee who met him in the Vatican. A beautiful resource. 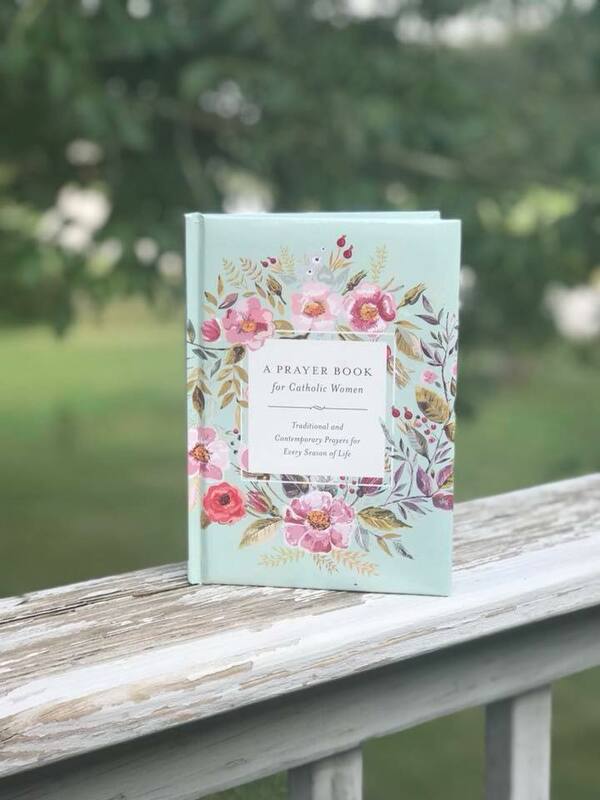 Beautifully designed and easy to use, this book is an ideal resource for prayer each day. 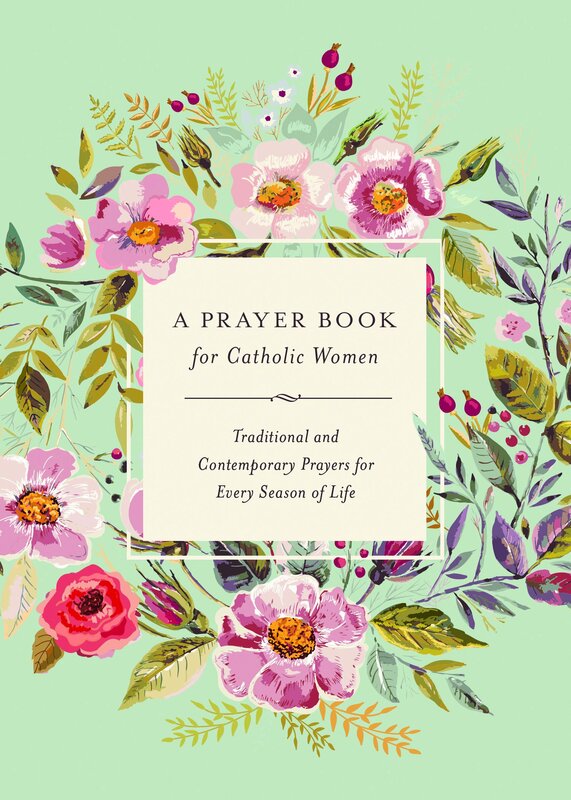 The selections bring together the bounty of favorite traditional prayers of the Church with original prayers that will provide inspiration and strength. Organized around the seasons of a woman’s life and her spiritual journey, it will enable all women of every age and at every stage of life to experience God’s deep love for them and the gift of his grace for each day. Agnes M. Kovacs, a native of Hungary, has lived in the United States for thirty years. 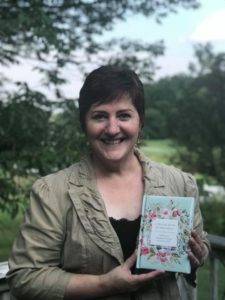 She is a daughter, sister, aunt, wife, mother, and grandmother who cherishes the relationships with her large, extended family spanning multiple continents. 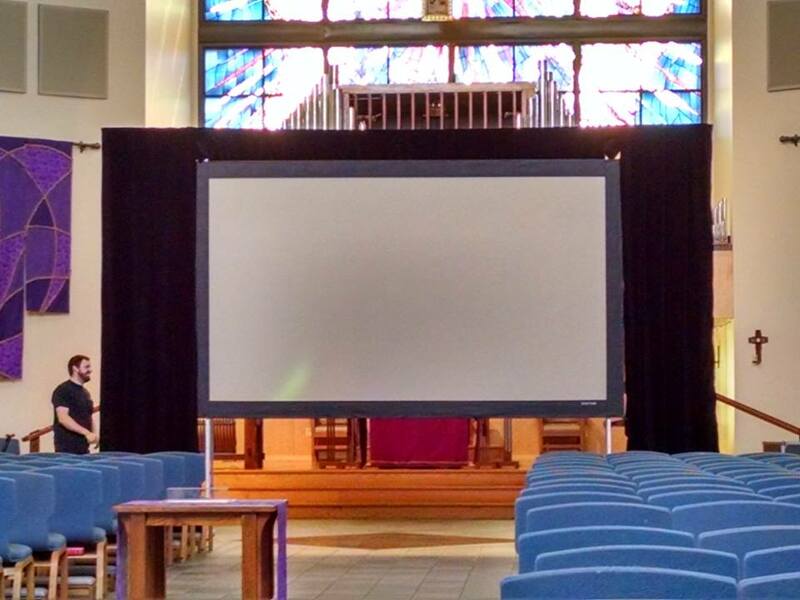 Agnes currently serves as director of continuing formation at Saint Meinrad Seminary and School of Theology. A diverse crowd — including Mercy Academy seniors — who packed a theater inside the Kentucky Center for the Arts April 25 heard from Dr. Christopher Pramuk that reclaiming the “feminine divine” would celebrate the fullness of God in all things. Pramuk was one of several speakers at a session called “One, Not Two: Sacred Wholeness.” The speakers discussed how balancing the “complementary feminine and masculine aspects of divine wisdom” can lead to a better understanding of the interdependence of all things. 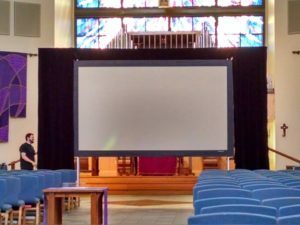 Click here to list to this podcast from the National Association of Pastoral Musicians. In this episode, we explore that challenge more deeply through conversation with two important voices: Sarah Hart and Kate Williams. 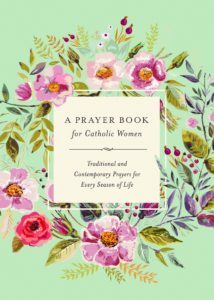 In doing so, we consider the progress that women composers have made in liturgical circles, the barriers that remain, and we ask, “what, exactly, is the feminine compositional voice”? 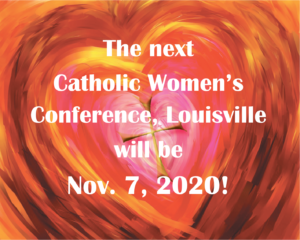 Do you have a heart for other women and a desire to connect them in the parish, to encourage an authentic women’s faith sharing community, to meet women where they are and draw them closer to Christ? 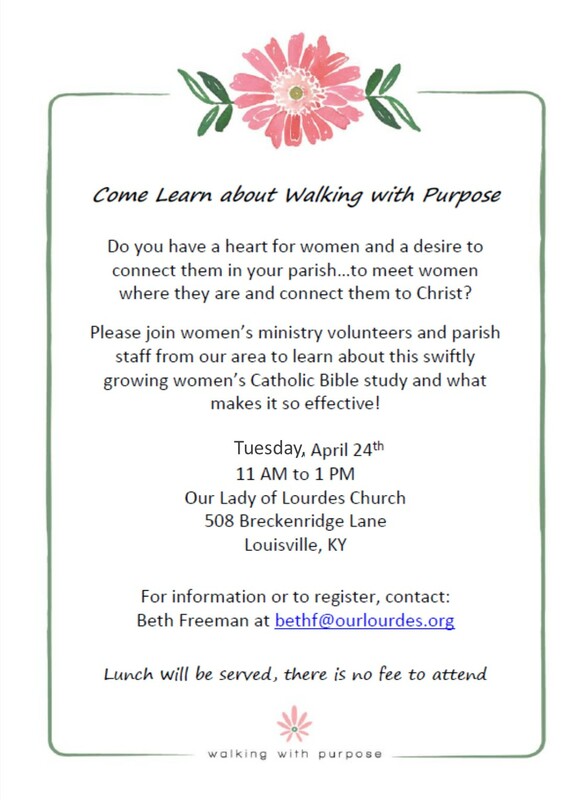 If so, please attend a Learn About Walking with Purpose event this April at Our Lady of Lourdes parish in Louisville. 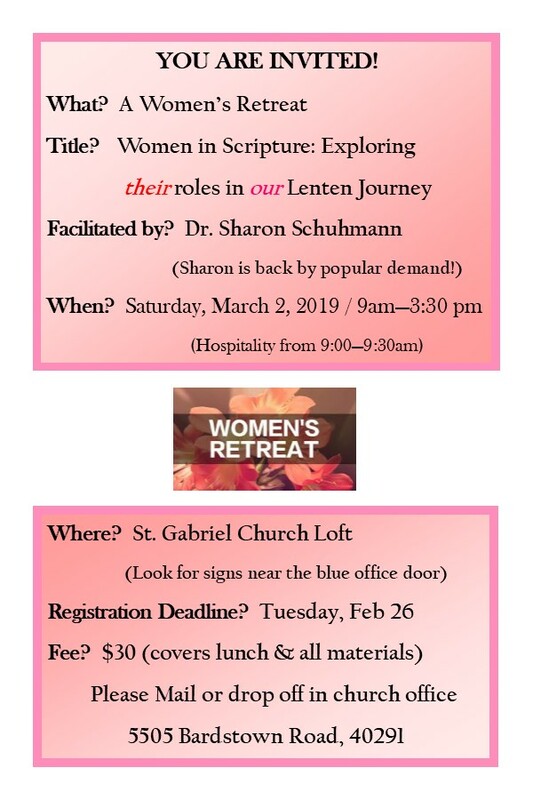 Walking with Purpose, a women’s Catholic Bible study offering a Scripture-based program that is approachable, relevant and focused on conversion of heart, invites women and parish leaders to attend a Learn About Walking with Purpose Event and find out about this fast-growing program. Meeting women where they are in a personal and transformational way, Walking with Purpose offers at-home study and weekly small group discussions that link women’s everyday challenges with the solutions found in the teachings of Christ and the Catholic Church. Walking with Purpose is currently offered in the Louisville diocese at Our Lady of Lourdes and Holy Spirit parishes. 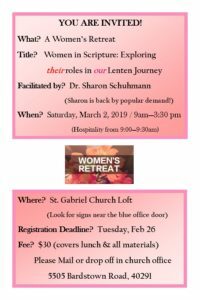 Women ministry leaders and pastoral staff seeking to bring other women closer to Christ through Scripture study and fellowship are invited to learn from local WWP leaders about their experience bringing the program to their parish. WWP national staff will explain the WWP discernment process, leadership training and mentoring support offered. There is no charge for the event and lunch will be provided. 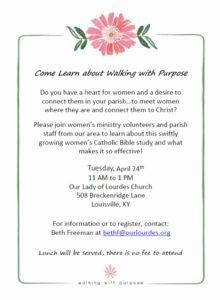 To register or obtain more information about this Learn About Walking with Purpose Event, please contact Beth Freeman via email at bethf@ourlourdes.org.